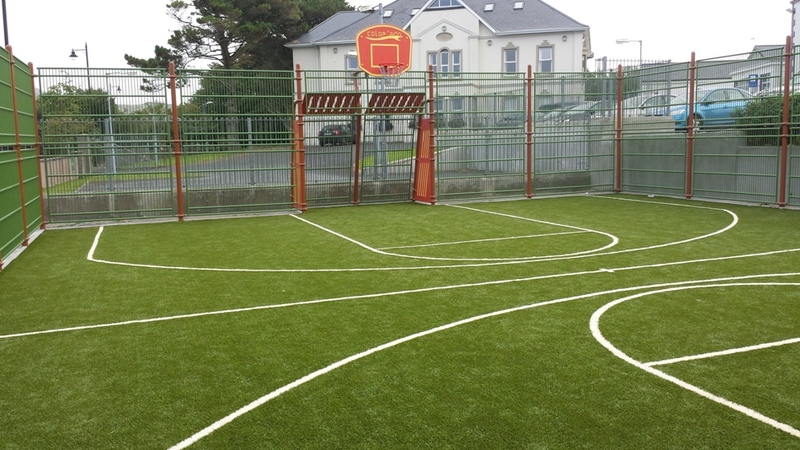 20m x 13m Multisport MUGA – Park Theme – Hot Dipped Galvanised and Dual Surface Coated. 3m high fencing behind goals and sides, 2m high single leaf gate. Artificial Grass Surfacing with line markings for both soccer and basketball.